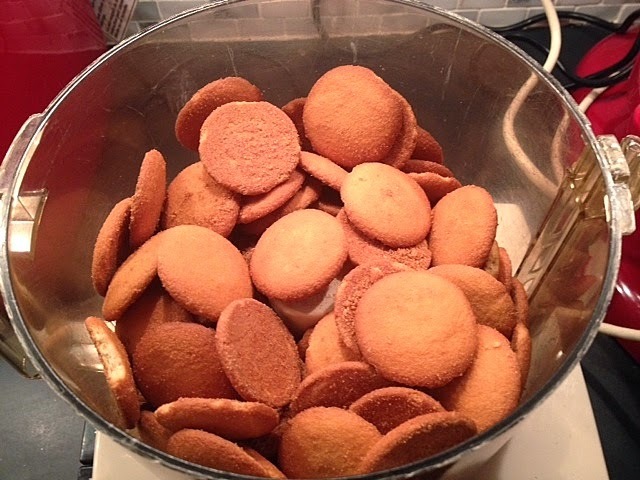 Vanilla wafers, pretty good on their own, are often the building blocks of desserts (banana pudding anyone?). 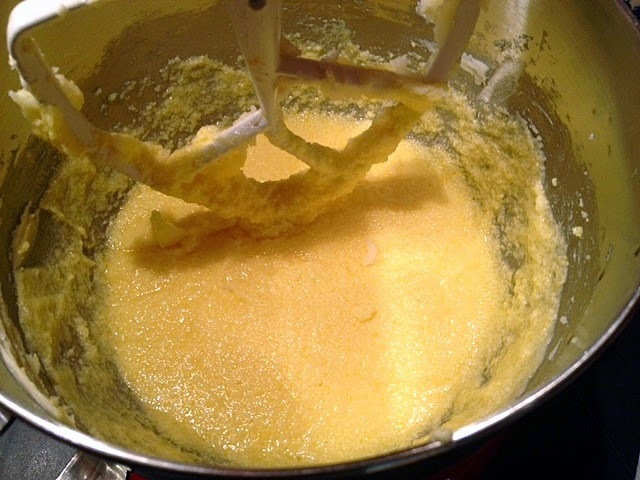 In Vanilla Wafer Cake, the cookies are crushed and used in place of flour, making this technically a flourless (but alas not gluten-free) cake. 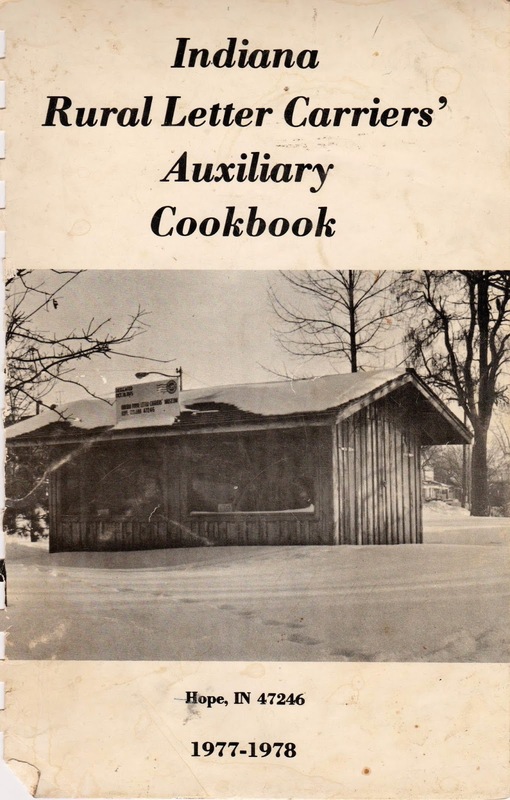 This recipe may have originated in the south, but this version is in the 1977 Indiana Rural Letter Carriers' Auxiliary Cookbook from Hope, Indiana. 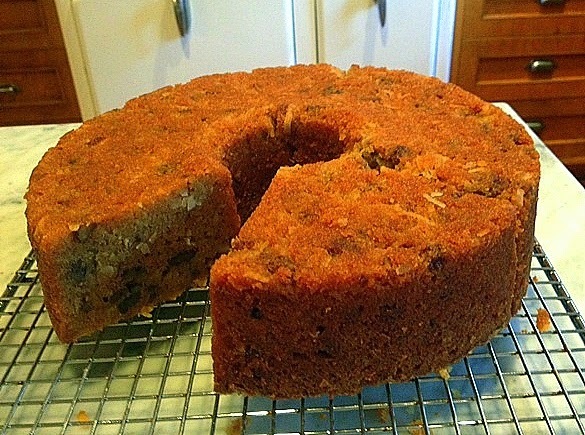 This cake has many virtues: originality, sweetness, moistness and portability. It will keep fresh for days (if it actually lasts that long) and is sturdy enough to survive being transported on a NYC subway. The vanilla flavor is enhanced by the addition of coconut (which also ramps up the sweetness factor) and chopped pecans. Start by crushing a box of vanilla wafers. (Though the recipe calls for 12 ounces, modern-day boxes contain just 11 -- but it won't affect the outcome.) 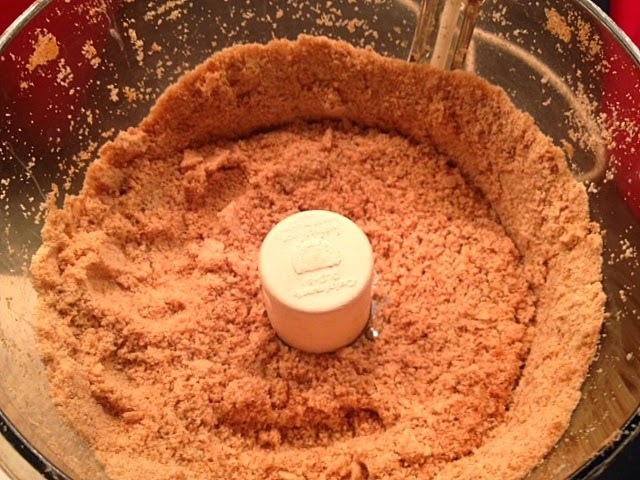 I used a food processor to make quick work of the task. You can also place the cookies in a heavy plastic bag and go at it with a rolling pin or a wine bottle, whichever is handier. This is a simple, one bowl cake. 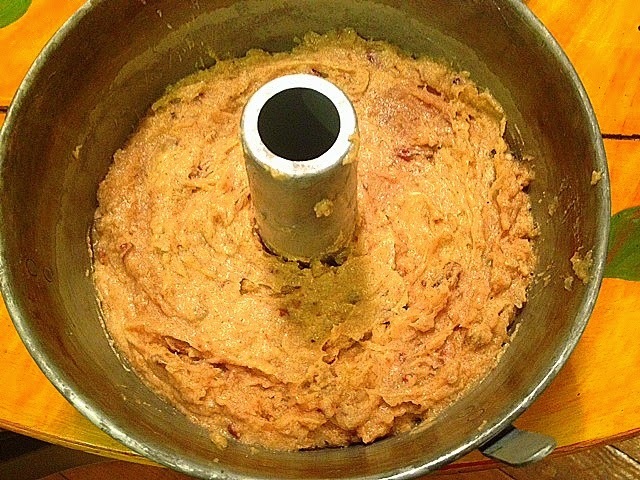 Pour the batter into a greased and floured bundt or tube pan. Smooth out the top. Bake at 350. Unfortunately, I didn't realize that the cake was upside down when I photographed it (below). When properly positioned, the top has a nice light crust (see top photo of the slice). Either way, it tastes really good. I followed the recipe exactly, using butter instead of margarine and 11 oz. of vanilla wafers. My dog-eared and prized copy of this cookbook was given to me by Mrs. Howard Stewart of Hope, who was the president of the organization at the time, and contributed many family recipes to the book. I have extremely fond memories of this cake! 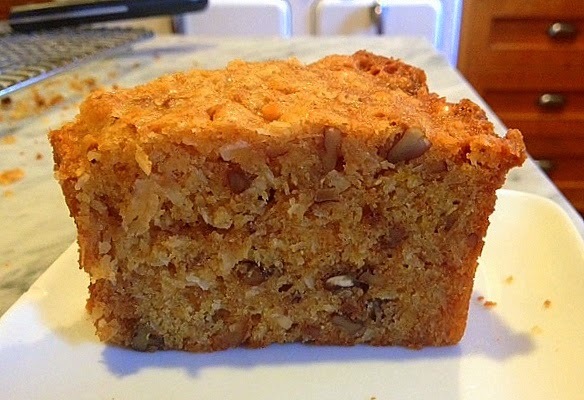 My mother made it when I was growing up (in the 60's), and you are right, it is a sturdy cake, but not too heavy. Thanks for sharing this.